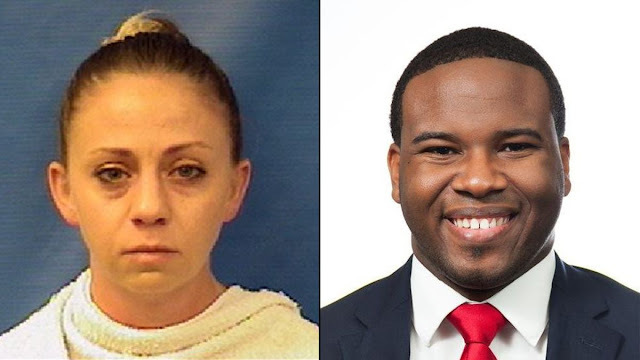 A grand jury indicted Amber Guyger for murder, Dallas County District Attorney Faith Johnson told reporters in a press conference Friday afternoon. Prosecutors argue the defendant should be held responsible for fatally shooting the victim at his apartment on September 6. Police say Guyger entered Jean’s home at the South Side Flats after a shift, and opened fire, striking him in the torso. She allegedly claimed she mistakenly believed that his fourth floor apartment was her third floor residence. Guyger lost her job over the incident. Others wondered how this shooting could possibly have happened. They were neighbors, but apparently didn’t know each other. At the press conference, reporters asked Johnson why the charge was bumped up to murder. She said she couldn’t discuss the evidence presented to the grand jury, but previously explained it was the Texas Rangers who pursued the manslaughter charge. The D.A.’s office was still investigating at the time, she said.